I have been Pat's client for almost 10 years. I have bought and sold more than 5 properties during this time and the outcome has been always extraordinary. To say I'm happy about it would be an understatement. I believe what makes Pat an Exceptional Realtor is her real devotion to her clients and (her) ability to know what's best for them. By listening to her advice, I have been able to find and buy the best properties for me and avoid buying something that was not good for me in the long run. I cannot thank her too much! Pat helped us sell our property during a particularly difficult and complicated time. She answered all my questions, explained the current real estate market in our area and advised us on how best to present our property. She was never more then a text or an email away. We were informed of our listings status, showings and any feedback in a timely manner. Her associates were very helpful. The stagers gave great advice and the photographer was top notch. The photos captured an honest and beautiful reflection of our home. We had an offer within the first week which we accepted. Thank you again, Pat! Pat Ward has been instrumental in me purchasing a home and a condo in the last past 15 years. I rely on her expertise in real estate and banking. Pat is on time, and well organized. On our first visit to looking for a house, I was impressed that she had prepared a folder with all the houses to be visited for me and my partner. Pat has outstanding people skills and is a very good listener; therefore, she can fulfill your needs. I highly recommend Pat to anyone who is looking for a trustworthy real estate broker. Pat Ward is a leader in real estate. Having known Pat for 14 years, we turned to her to sell our condominium and purchase a house. Pat's professionalism, knowledge, and strong work ethic are unparalleled. As the listing agent, she worked relentlessly to market, stage, and show our property. Her knowledge of real estate market made the sale fast and most importantly for the asking price! When it came time to purchase a new home, she navigated a bidding war like a seasoned professional, thus resulting in our "dream home" today! Thank you Pat, your truly exceptional in every aspect of the real estate. We give you our highest praise and recommendation. We knew we wanted to work with Pat when she referred to the process of selling a house, "as a partnership, between her and the client.” Not only does Pat have the capabilities for the job, she also has the right sensibilities, and she understands the effect that selling a home, has on her clients. Pat has a great support team, plus she has built over the years an amazing network she can leverage when it is time to bring the right buyer to walk through your home. Selling a house is also about one of the largest money transaction one goes through, Pat’s background in financial services was a great help to us in managing that very important part of the process. It is with gratitude and assurance that we look forward to our next adventure with Pat Ward. We were very pleased to have chosen Pat Ward as our Real Estate Broker, we did so because of her hard work, dedication to pleasing her clients, her professionalism and attention to detail at all levels. Pat was familiar with the our neighbourhood and answered any inquiries regarding the sale of our home promptly and made us feel at ease at a time that can be very stressful for most home owners. Working with Pat Ward was like working with a trusted friend who happens to have huge experience in the real estate world. Her advice, strategy and access to information was freely and generously available to us during the whole process - we would recommend Pat to all potential buyers and sellers. We have known Pat over 20 years. During that time, we have had benefit of Pat's experience in the purchase and sale of 8 properties. 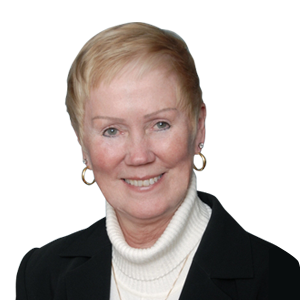 Pat is a seasoned professional who effectively uses her experience in financial services and real estate to deliver the best outcome for her clients. She has on extensive network of resources to draw upon and always willing to go the extra mile to bring a transaction together. She is a confident negotiator and approaches all challenges with her clients in mind. We have referred several family members and friends to Pat and results speak for themselves. They are all happy homeowners! We recently listed our mothers house with Pat. She was with us every step of the way. She helped us with the planning, staging and decluttering. With her help and passion for what she does, we were able to sell my mother's home in 1 day for almost 25% over the asking price. She gave us the selling experience that I don't feel you can get with another agent. Thanks Pat we look forward to our next experience.